Collagen Rejuvenation Therapy™ (CRT) is a unique process which plumps your natural collagen in depressed areas. Wrinkles, acne scars, pitted scars, crow’s feet, peri-orbital wrinkles, naso-labial wrinkles, the loss of the skin’s elasticity, or any type of skin indentations will have noticeable improvement. 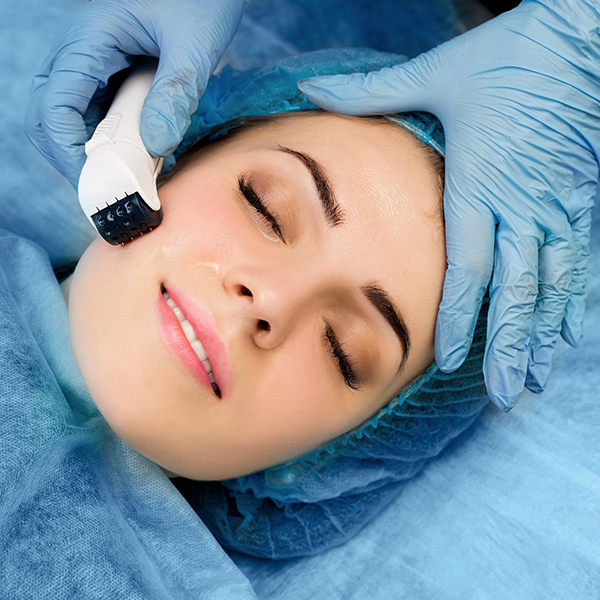 Facial CRT needling application lines are much softer around Glabella, forehead and crow’s feet. Naso-labial folds are much softer, and facial lines are filled in making you look years younger. Helps to soften and plump facial lines, acne scars and more. Patients should avoid self-tanning lotions or sprays, skin products that contain vitamin A or retinol, and sun exposure for 48 hours prior to your procedure. Please let our physicians know immediately if you have had significant sun exposure or a sunburn the day before your procedure. Approximately 48 to 72 hours after the treatment you’ll have an increase in collagen production.